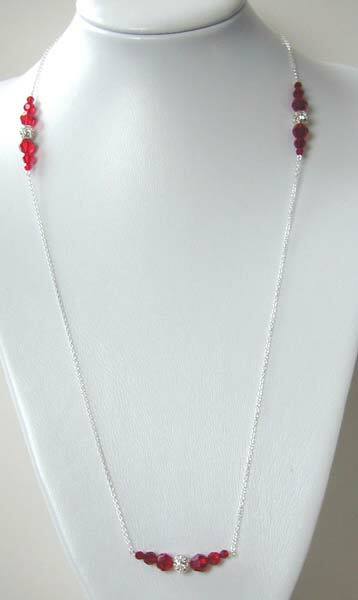 Long necklaces have been popular recently and adopted by the likes of Liv Tyler at this years Oscar ceremony. This 36" sterling silevr necklace is absolutely stunning(I want one myself! )With bold colours being in fashion this summer I have used graduated swarovski siam beads. You can see how the light effects the colour of the beads, both the beads and the swarovski crystal rhinestone balls would look dazzling on a summers day.